Why is choosing to do something often the biggest thing holding us back from simply doing anything at all?! My generation seems to suffer from overload of the brain more than actual lack of ideas. We can think of a million options, and solutions to the world’s problems, but the work, lack of confidence, and lack of immediate microwavably huge results often keep us from doing anything at all. Hello! Just do something! Start anywhere! Look at what’s in your hand today and determine to be faithful with just that and go for it! This organization is a great example. I absolutely love them! I love their simplicity, creativity, and yet ginormous vision. They partner with all types of artists, as well as make their own really cool branded apparel, and raise money to feed those less fortunate. I love this organization because they started simple, saw a need and found a way to meet it. BOOM! They didn’t wait until they could feed every person in a city or a country, they were simply faithful with what was in their hand, thought outside the norm, and did it! Through meeting the physical needs of people, they are given an open door to impact their lives in so many other ways. They are Hello Somebody. 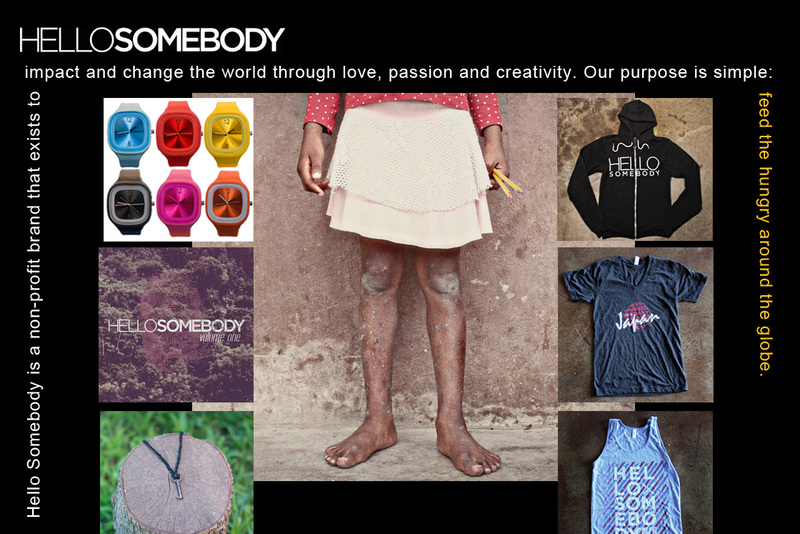 A non-profit brand that exists to impact and change the world through love, passion and creativity. Our purpose is simple: feed the hungry around the globe. To change the world, you must first start by changing individual lives. To empower a hopeless human, you must first begin by filling his or her stomach. 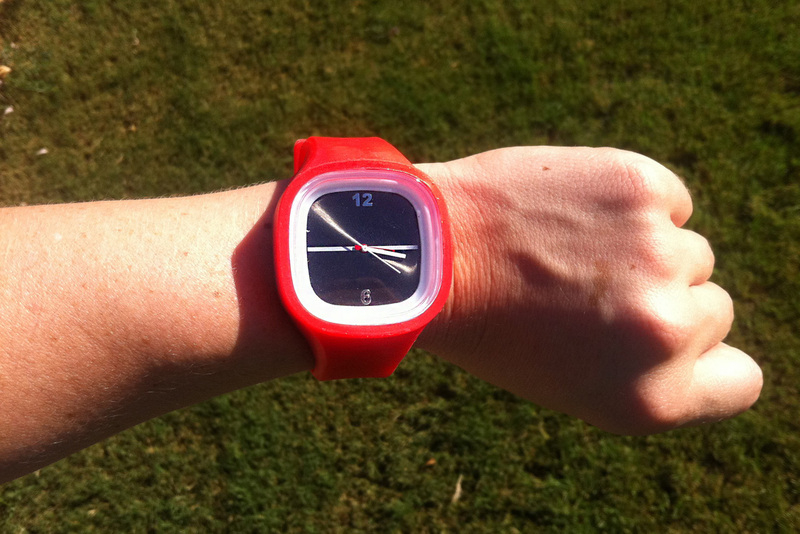 If you’ve heard of them, you’ve probably also heard of their cool watches. Buying one watch for $22 will feed 125 people!!! So buy one here and get one for all of your friends and family too. Here’s one of my personal favorites! If you own a Hello Somebody watch, wear it today and tell at least ONE person about what they’re doing by showing them your watch. They’ll love it and want to know more. It works every time!